Happy Valentines Day! We hope that everyone had a wonderful day. 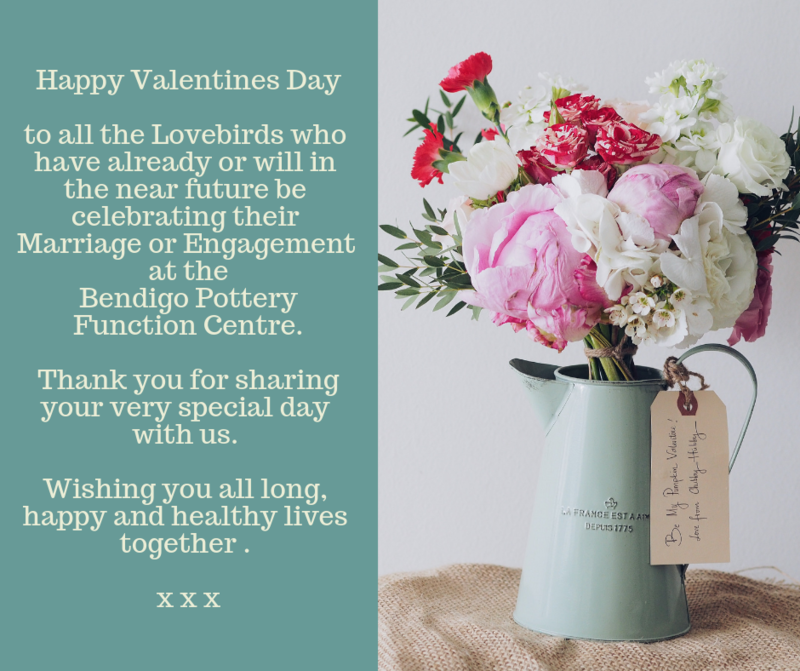 Bendigo Pottery Function Centre is a gorgeous Wedding Venue set in the original Stables built in the 1870’s for the Pottery. Although originally built to house horses it has been host to many, many Weddings, Engagements and Parties in its current layout of large Reception Room with dance floor. These are always joyous events that we are grateful to be a part of. The true heart of these events are the couples celebrating their future together. With our beautiful venue and catering, we do our best to ensure that each celebration is wonderful and a day to remember by all in attendance. So this is a little shout out to all who have been here (or are thinking about it! ), as the Bride and Groom enjoying their Wedding day, the happy couple celebrating their Engagement or those who are celebrating their Anniversary. Happy Valentines Day Lovebirds!